Contingency plans map out a corporation's strategy for environmental or man-made disasters that may have a serious impact on the daily functions or life of the corporation. The authors, whose offices are located on Wall Street, survived the World Trade Center attack with minimal financial damage due to their pre-existing contingency plan. 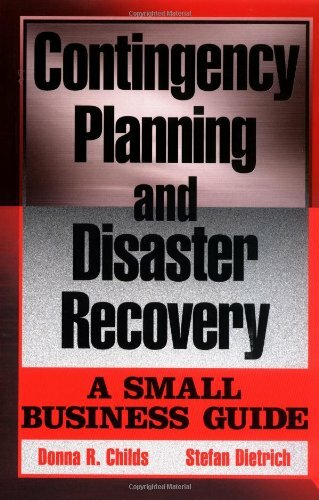 This book shows small and mid-sized businesses how to protect themselves against disasters. By following this guidance, readers will be able to alleviate their risks and recover quickly when disasters do strike.